Photo: The Ivanpah Bird Fryer in operation. Eastern Mojave Vegetation The Ivanpah Bird Fryer in operation. Field Notes: Thursday, 22 January. U. S. Interstate 15: at Exit 286. 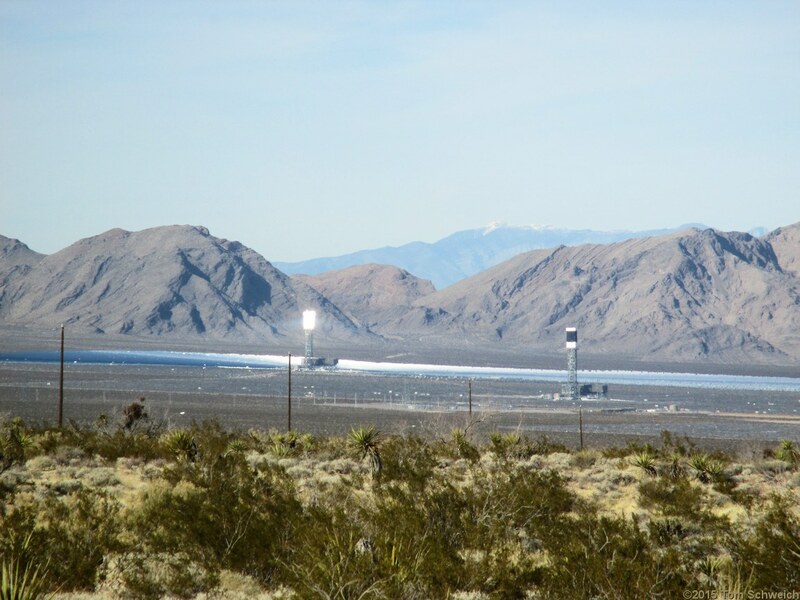 Other photos about Geography - Eastern Mojave or Ivanpah Valley.